Lasting family memories are one of the best gifts you can give a loved one. Fill out the form below and I will email you a personalized gift card that you can print off or email to that special someone. 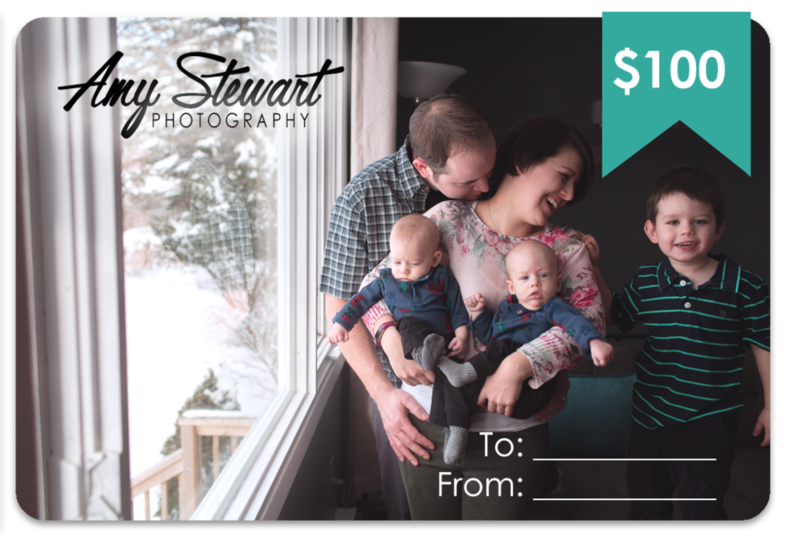 You can pay by sending an e-transfer to info@amystewartphoto.com or by using PayPal for a small transaction fee. Do you have any questions or would you like something that you don't see here? Let me know!